This category of Data Loggers is designed for use in an Ocean Environment. They are especially useful for Oceanology and Marine Science projects. 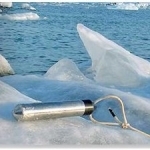 The range includes Water Temperature, Water Level and Water Salinity loggers. Data Logger for recording Salinity, Conductivity and Temperature in saltwater environments, such as in bays and estuaries. Data logger for measuring oxygen concentrations in lakes, streams, rivers, estuaries, and coastal waters.